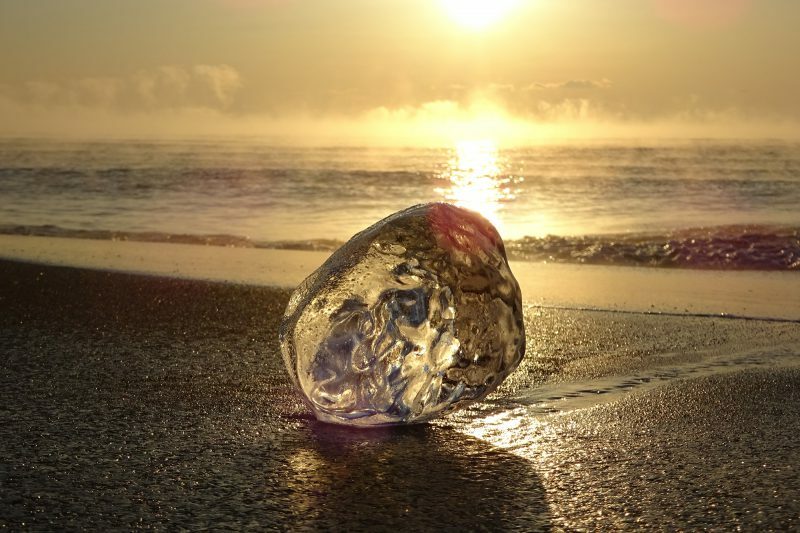 The Jewelry Ice in the Otsu Beach of Toyokoro Town is a unique natural phenomenon that can be seen only during winter. It is formed when blocks of ice from the mouth of the frozen Tokachi River flow out into the Pacific Ocean, where they are swept and shaped by the waves before becoming washed up on the beach. 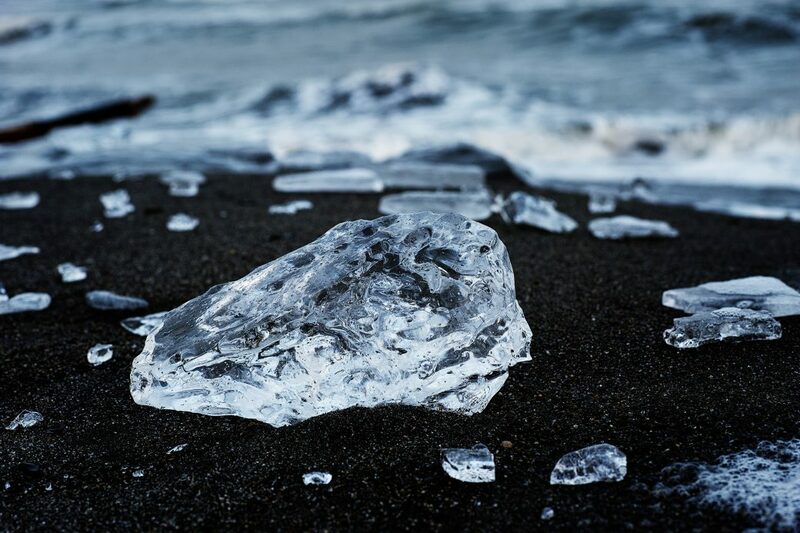 At its peak, countless pieces of ice of various shapes and sizes can spread out across the sandy shore. Every piece is unique, and they sparkle like gemstones in the sunlight. The best time to see the Jewelry Ice is during the sunrise or sunset, when the blocks of ice reflect the glow of the low sun. 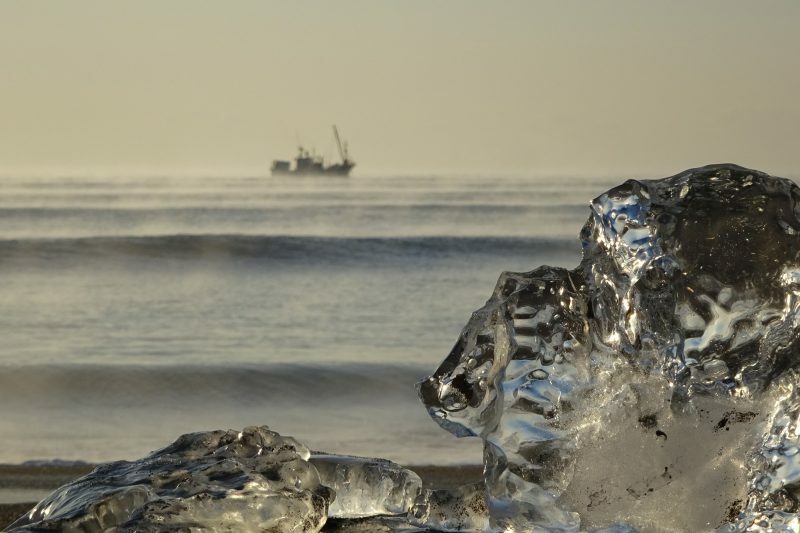 On extremely cold days, you might also see sea smoke rising from the ocean. In recent years, the Jewelry Ice has been featured in various domestic and international media, and it has become a popular photo spot for tourists and photographers from Japan and overseas. However, since it is a natural phenomenon, it is hard to predict when and how much ice will come on any given day. Some photographers have been known to visit almost every day just to find their best shot of this spectacular site. You can check the daily condition of the Jewelry Ice in Toyokoro Town’s Jewelry Ice special site. The temperature in the area can drop to -20°C or lower. Make sure to come in cold weather gear. Camera batteries deplete more quickly in cold temperatures. You can keep your camera warm by putting it inside your bag or pocket when not in use. The nearest convenience store to the area is around 25 minutes away by car. You should do any required shopping in advance. Do not trespass into private property or park your vehicle in unauthorized areas.